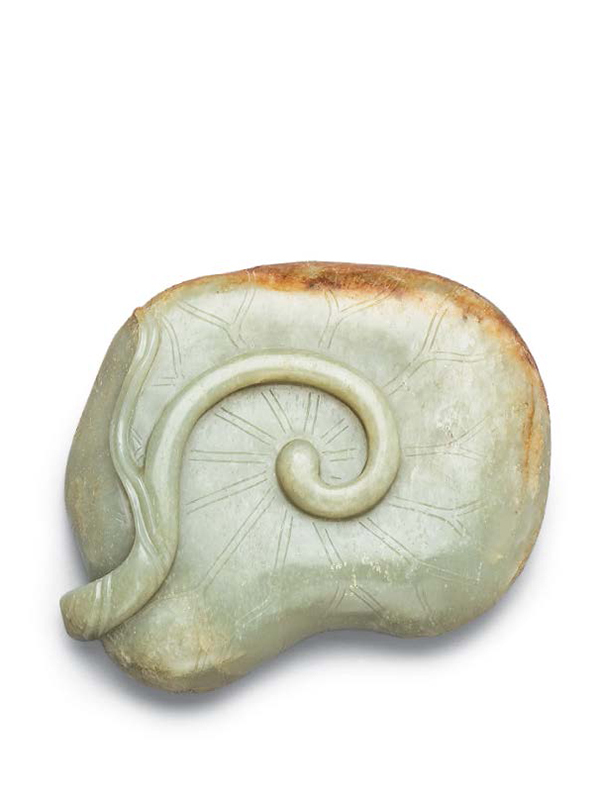 A nephrite brush washer carved in the form of an irregular, naturalistically depicted lotus leaf, the edges curled inwards and the base formed by its twisted stalk from which emanates a single leaf. The outside of the vessel is engraved in imitation of the natural veining of the leaf, as is the interior. The stone is of predominantly pale green tone with extensive russet markings from the skin still visible to one side. Shallow receptacles filled with water for washing a brush after painting are typical accoutrements of the scholar’s desk and exist in a variety of different materials and forms. This brush washer, carved from a piece of jade with skilful and naturalistic depiction of a lotus leaf, fits perfectly into the general spirit of the Ming dynasty literati, who would have appreciated the visual pleasure its utter simplicity affords the viewer. It is also worth noting that in Daoist symbolism the lotus leaf (heye) signifies longevity, a pun that would not have been lost on the scholar. 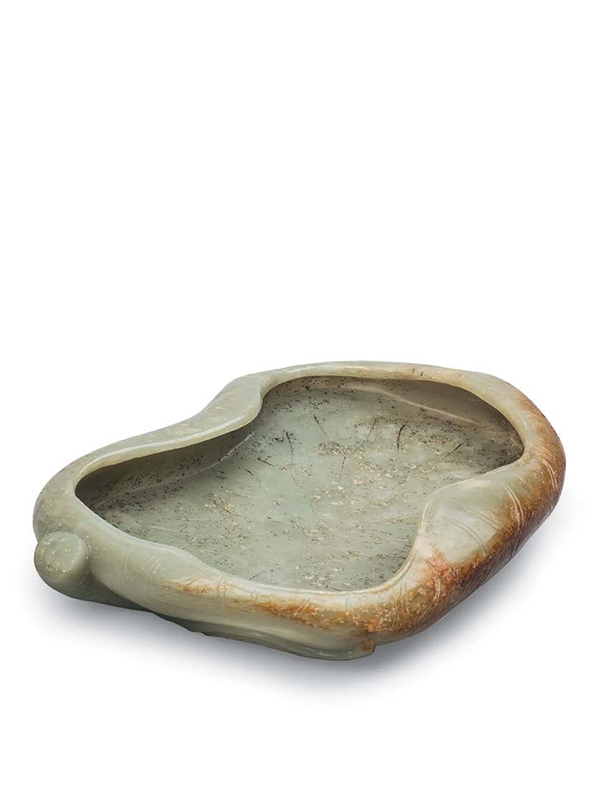 A closely comparable Ming dynasty jade brush-washer in the form of a lotus leaf, also retaining the shape of the original pebble from which it was carved, was formerly in the collection of Gerald Godfrey and was included in the exhibition Chinese Jade, The Image from Within at the Pacific Asia Museum in Pasadena, California in 1986. Another naturalistically rendered jade lotus leaf brush-washer is illustrated by Keverne.